This adorable bracelet is made out of stainless steel and has a 7.2in circumference and fits almost universally. Perfect add-on gift for the Wine Lover in your life! I previously ordered the Rose Gold Wine Necklace and absolutely loved it! So as soon as I saw the gold bracelet, I had to have it! And it is exquisite. Arrived in a beautiful pale pink jewelry sachet ready for gift giving. 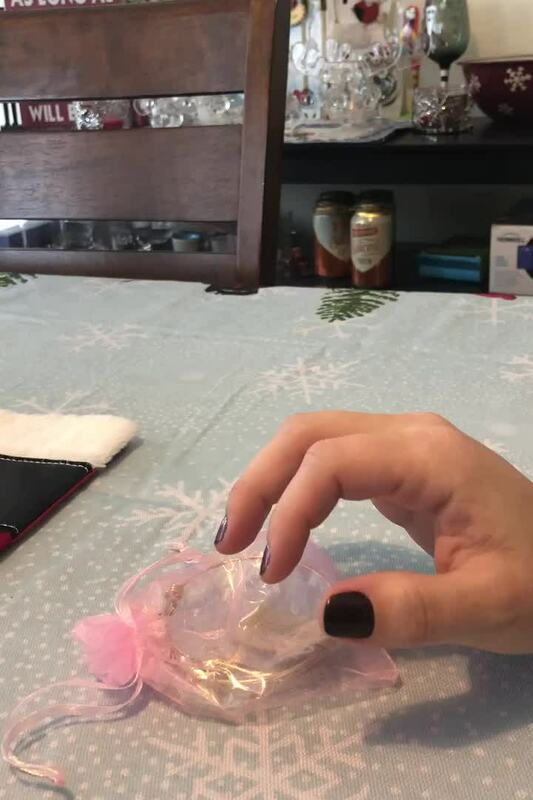 And inside the little jewelry bag, the bracelet is also slipped inside a clear protective little plastic bag. Makes a good impression that it is so well packaged. Quality craftsman with an adjustable fit, and each charm has amazing details! This is a beautiful charm bracelet for yourself, and a great gift idea for friends and loved ones. I couldn't be more pleased. Love it! I bought this as a cute stocking stuff and now I’m tempted to keep it for myself!! Sturdy material, universal fit that easily slips on and off but won’t just come off at the wave of your hand! Gorgeous! I’m definitely getting the necklace now!! natasha k. Reviewed by natasha k.
Such a pretty bracelet, looks awesome on! Perfect gift for any wine lover! 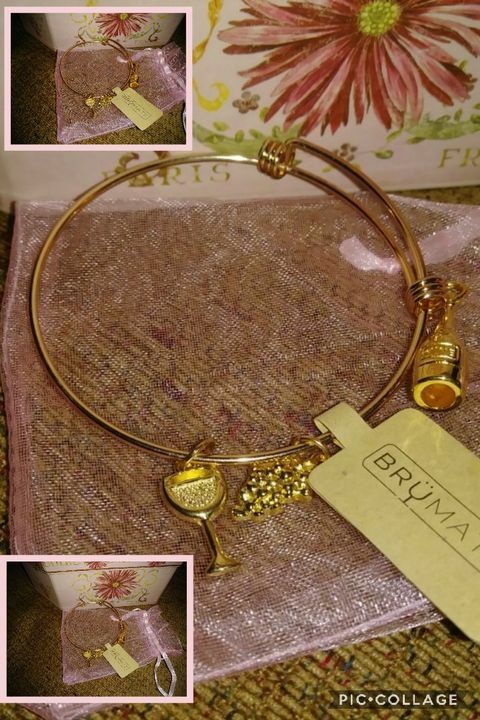 This gold bracelet would make a perfect gift for any wine lover! The charms are super cute!